We work across the Suffolk County and we work with many different sports clubs, groups, organisations and sports and leisure centres. We also work with schools and colleges helping you to take part in sports in the community. We want sports to be fun and enjoyable and not something you have to do but would like to do. Active Suffolk has been awarded a grant from Sport England to develop inclusive sporting opportunities for young disabled people in Suffolk. The grant will help increase sports participation in Suffolk amongst young people with disabilities, focusing on the transition period from full time education to life outside of schooling. We will develop a central hub of information where young people with disabilities can discover a wide range of accessible opportunities, working closely with partners to help promote current disability sport across the county. iCAN will also help support existing disability sport clubs by providing funding advice and guidance, facilitating courses and providing training opportunities for coaches, leaders, staff and volunteers. 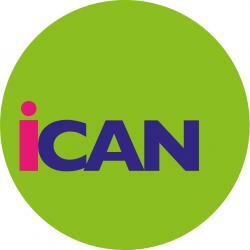 The aim is to establish iCAN multi-sport hubs across Suffolk over the next three years. We will help develop pathways from recreational sports to competitions, locally, regionally and possibly nationally. Our priority audience is people with Learning Disabilities (LD) however we will not turn away other forms of disabilities to gain access to sporting opportunities in the Suffolk County. We will working closely with a variety of organisations such as Local Authority Sports Development Officers, Discovery Project, Avenues East and in particular the colleges and schools in Suffolk to help make sports for disabled people a sporting habit of a life time. 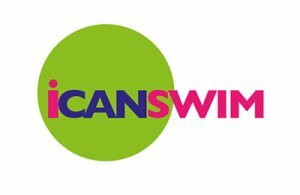 iCAN Swim is brought to you by Active Suffolk working alongside partner organisations and leisure providers across the county. The iCAN Swim campaign aims to get more people swimming by promoting opportunities for people with disabilities and impairments to swim regardless of age and ability. Find out information about each accessible sport with links and information to activities, events and clubs near you. British Blind Sport prides itself on making a visible difference through sport as we know that taking the first step into participating in a sporting or recreational activity can change lives for the better. Promoting sport everyone in the UK with restricted growth condition. They aim to make sports accessible and fun for all people with a restricted growth condition. They run events all over the UK. Athletes compete at the very highest levels of para-sports. Helping you to find useful information about people and organisation that can support you to be more active. Limb Power was launched in November 2009 to engage amputees and individuals with limb impairments in physical activity, sport and the arts to improve quality of life and to aid lifelong rehabilitation. Their aim is to improve the access people with a learning disability have to sport and physical activity so there are the same opportunities to take part as everyone else. Special Olympics Suffolk (SOS) is the Suffolk branch of Special Olympics Great Britain (SOGB). SOGB is the largest provider of year-round sport training and competition for all people with an intellectual disability. Leading opportunities for more deaf people to participate in sport throughout their lives & more deaf athletes to perform on the world stage. WheelPower are dedicated to providing opportunities for disabled people to find a sport they enjoy and provide opportunities throughout the year to introduce people to wheelchair sport.